Did you know? Weeds are great indicators of what is happening or not happening in the soil. When we see dandelions, that means soil compaction: There are not enough soil pore spaces for air and water to permeate through the soil. It also means that while there may be organic phosphorus in the soil, it is not available in a form that plants are able to take up. Organic phosphorus must be broken down by soil microbes into its inorganic form to be taken up by plants. When you see soils like this, filled with dandelions, it means we need to reduce compaction and stimulate beneficial microbial growth to the plant. Another issue we see in the pictured area is a lot of dallis grass growing along with the dandelions. The presence of this grass species confirms the diagnosis of compaction; the dallis grass takes over for the dandelions in the hot summer months. Where there is bare soil, Mother Nature can move in with plants that aid in recovery. In a situation like in the photo, soil recovery would be observed when dandelions give way to buffalo or blue gramma grass. Using weed identification as a means to determine soil health is just one of the many tools we use here at Soils Alive to help rebuild your landscape's health. 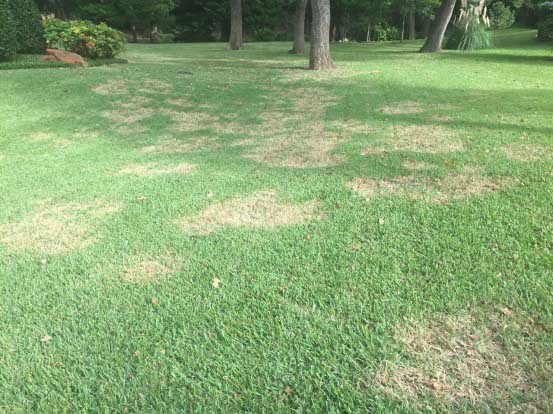 If you notice these types of weeds in your lawn, give us a call at 972-272-9211 to discuss our Soil Building Program.